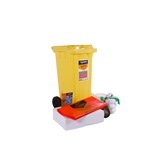 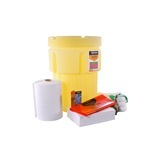 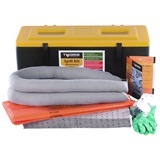 Tygris 1000 Litre Oil Only Spill Kit s a large capacity spill kit, designed for use exclusively on oil spills. 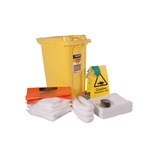 The kit is contained inside the bucket itself, and comprises of many essential items for the clean up process. 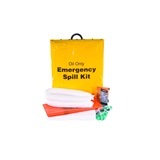 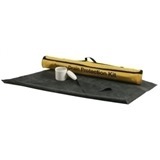 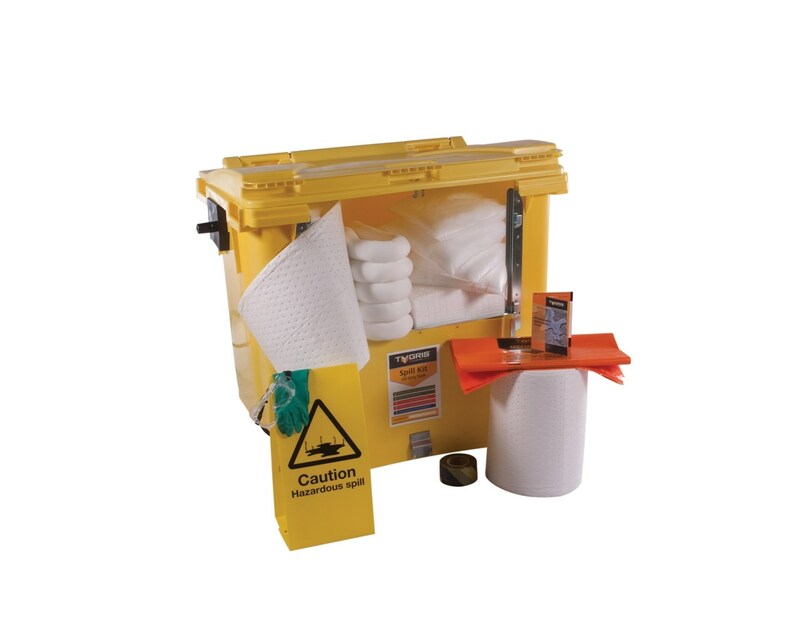 The kit contains barrier tape, as well as a caution sign and all the essential equipment you will need in order to clean up and contain any oil spillage. 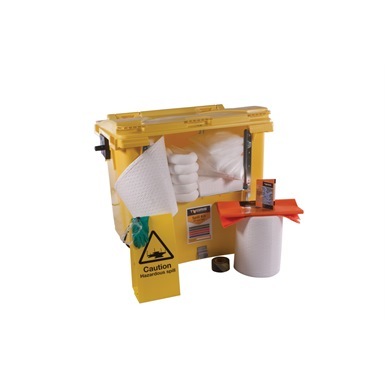 The kit contains absorbent rolls, 1.2m socks, absorbent cushions, absorbent mats, and wastebags for the effective cleaning up of spills, as well as two coveralls, two pairs of googles and two pairs ofgloves for the effective handling of any waste.